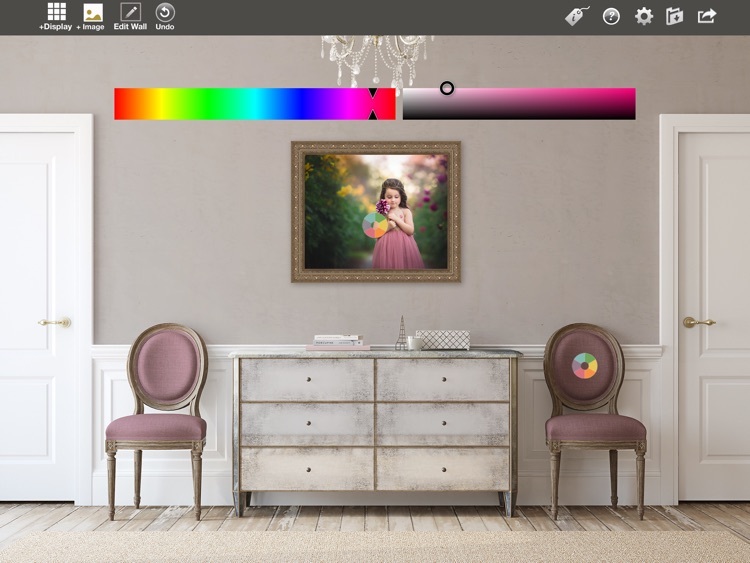 From the creators of the Photographer's Wall Display Guides, a sales tool for photographers to help your clients "picture their pictures" on the walls of their home. Click, Profession Photographer Magazine Online, PDN, Rangefinder, ShutterMag, SPTV, Chic Magazine, MCP actions, Paperie Boutique, Inspire Me Baby, Zach & Jody Gray & Mimika Cooney. Whether meeting with clients at their home, your studio, a coffee shop or anywhere in between - Shoot & Sell puts selling framed images and canvases at your fingertips! Shoot & Sell works where ever YOU work - no internet connection required. Connect to a flat screen TV via Apple TV (WiFi required) or just an HDMI cord and dongle (no internet connection required. Connect to any projector or even computer monitor with HDMI input! 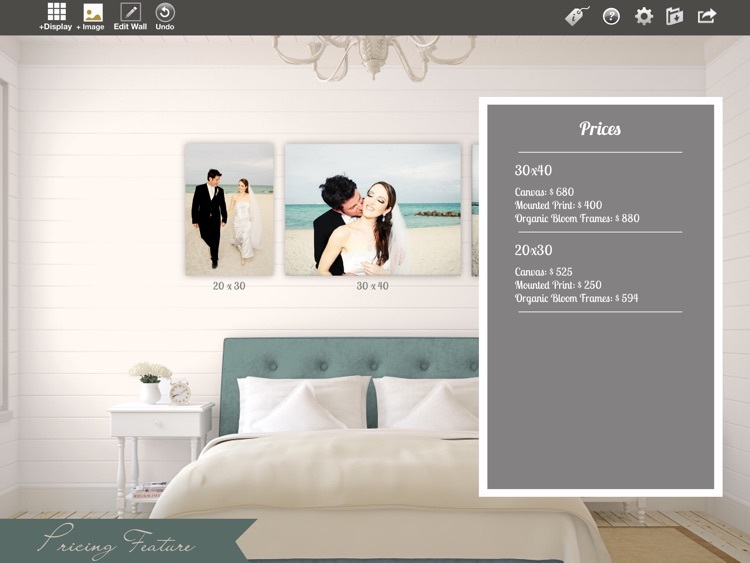 Import a room image taken by you or your client or take one on the spot with iPad’s camera! Thanks to the app’s unique ability to calibrate any room image, images are show in actual proportion providing a quick and easy realistic size reference. 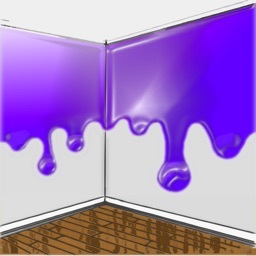 Don’t have a room image? No problem! Shoot & Sell has 11 gorgeous stock room images included free and additional rooms to purchase if desired. 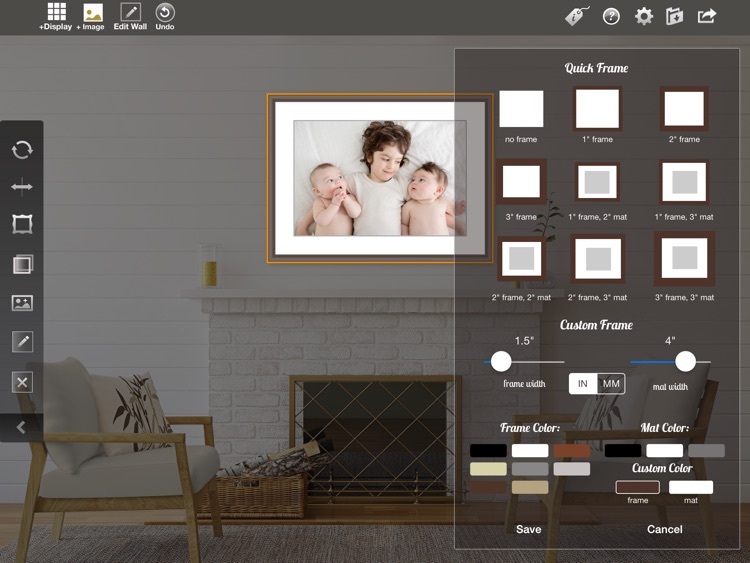 You can even change the wall and furniture colors of the stock rooms to match your client’s home, the colors in the images or even your own branding! 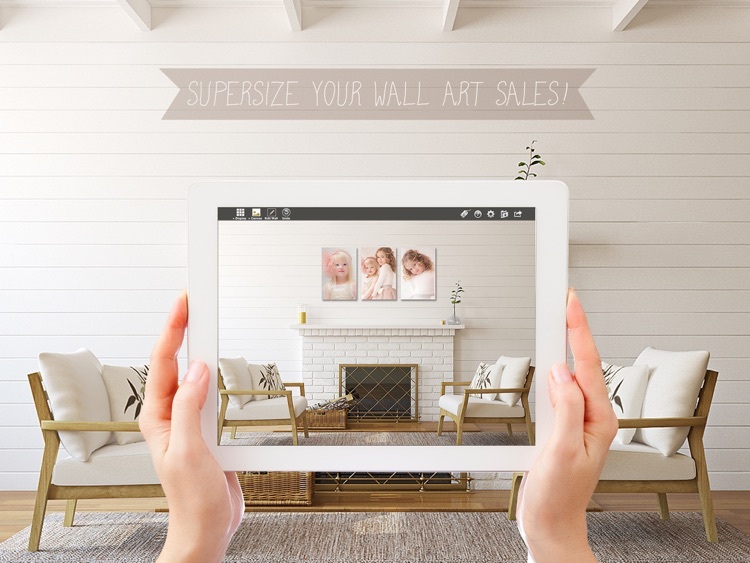 Shoot & Sell is also a powerful tool for any visual artist, from painters and illustrators to Etsy shop owners - all can leverage the power of Shoot & Sell to supersize their sales of wall art! *Import images from iPad’s library, Dropbox or Flickr. *Show single images in ANY size - inches OR centimeters. 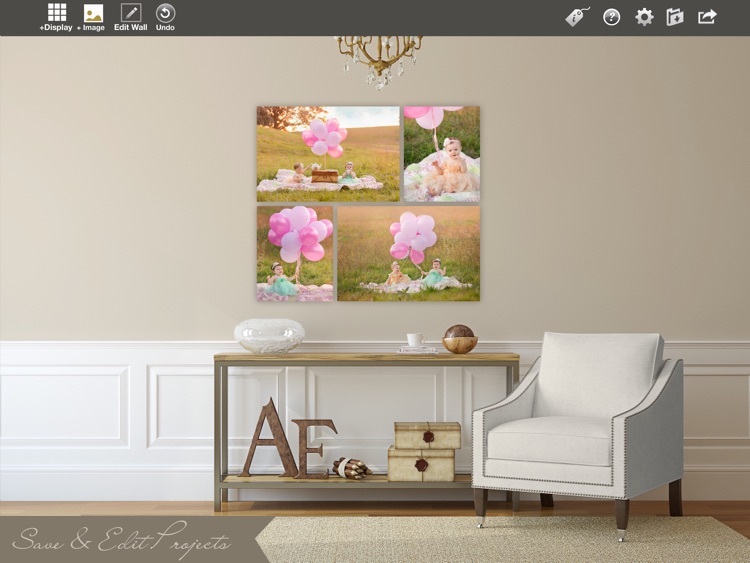 *Canvases OR Frames: Show “Standard frame” styles in custom mat and frame colors, H&H Frames or Organic Bloom Frames. *Import templates from other Shoot & Sell users or the app creator Ariana Falerni. Save and re-open entire projects - work up multiple ideas for clients ahead of time and then edit them on the fly during your sales session! * 11 gorgeous stock room images included free that can be used for marketing purposes or when no client room image is available. *Additional stock room background images available as in-app purchases individually or in packs for additional savings. 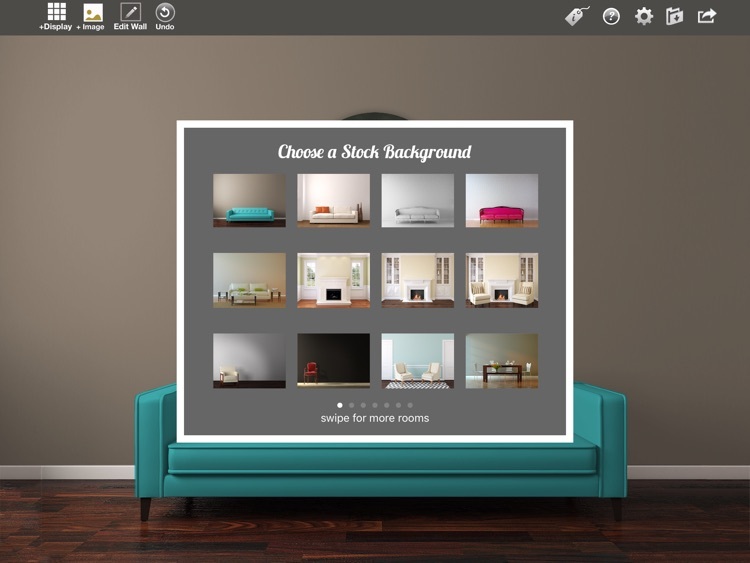 *Change wall and/or furniture colors of stock room images! 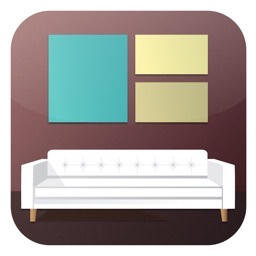 Match your images, client's home colors or your own branding. 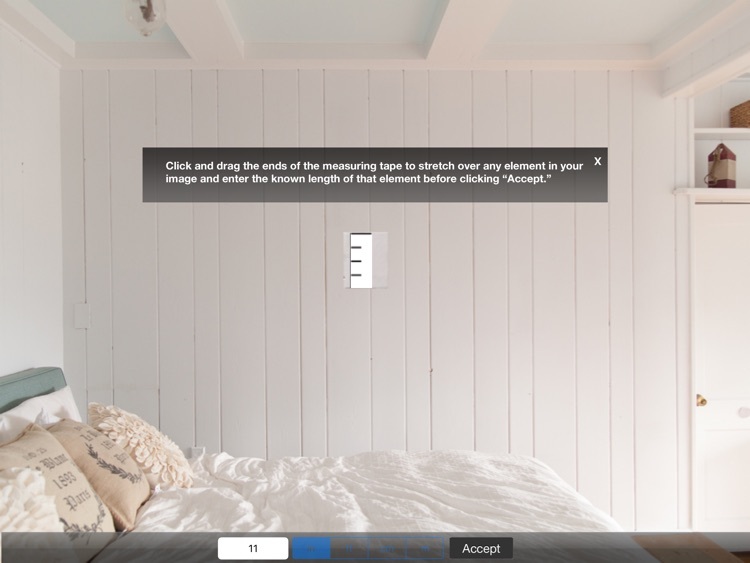 *Use images from your client's own home with our easy to use calibration tool. 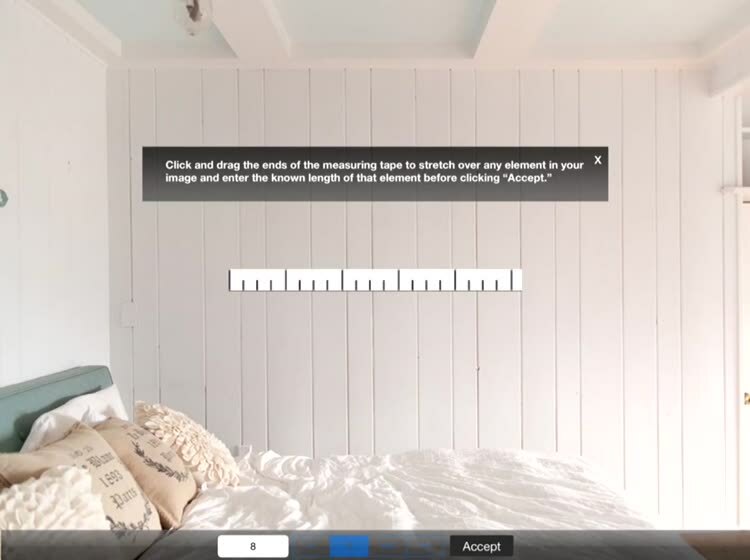 *Client room images can also be taken on location using the iPad’s camera! 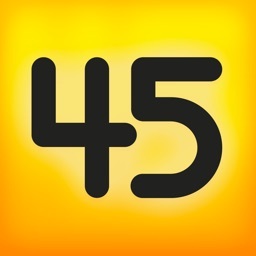 *Share your designs by email, Flickr, Facebook, Instagram, Dropbox, Twitter or to the iPad library. *Watermark your designs! Perfect for branding your work before using one of our many social sharing options. *Store up to 3 watermarks and switch between them at will to protect your work when using our many social media sharing options. *Image size labels can be toggled on and off and shown in your choice of 3 colors. 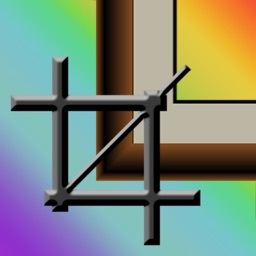 *Optional image snap for easy alignment of frames and canvases! 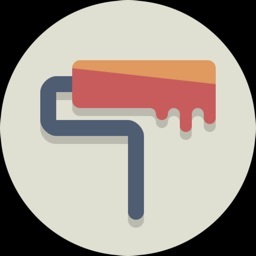 *Two finger rotate groupings and canvases - change portrait and landscape orientations instantly. *Rotate, crop, zoom and flip images as necessary to find the perfect look or just to correct small imperfections in horizon lines etc. *Show circles, ovals and rounded rectangle shapes! 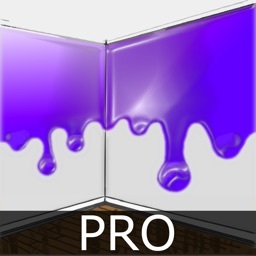 *Access to our private Facebook group to connect with the app's creator Ariana Falerni and other photographers doing in person sales.